ORIGINAL VEHICLE PRICE: $14,700.00, DISCOUNTED MANAGER'S SPECIAL PRICE: $13,495.00Our Ryder Certified� Pre-Owned vehicles include provincial safety and full maintenance records. Flexible financing is available on approved credit. 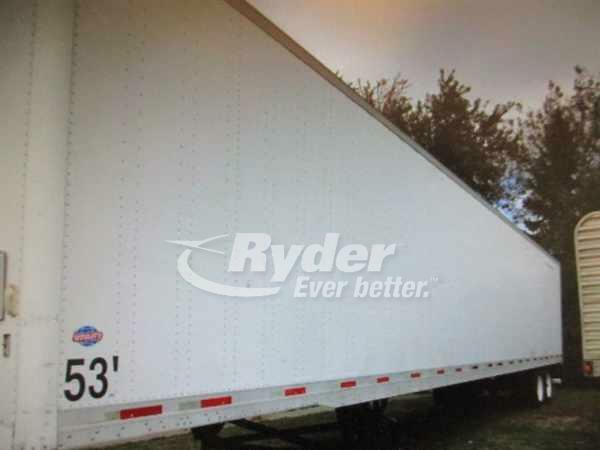 Year:2006,Make:UTIL,Model:VS2DC 53/162/102 Ryder Road Ready Stock#:268804 Check out our pre-owned dry van trailers in lengths up to 53', many with air ride suspension, barn or roll up doors. Call us today for more details.